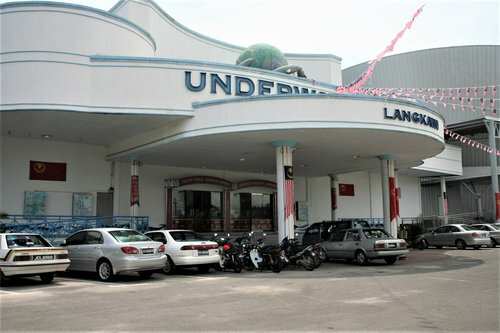 Located at the southern end of Pantai Cenang, Underwater World is one of the top attractions in Langkawi. This huge white building covering some 60,000 square feet area houses more than 4,000 marine creatures that includes over 500 species of fish and many other underwater life. 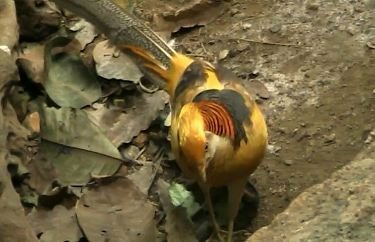 It also showcases many different types of birds, animals and other inhabitants that are found in tropical rainforests, temperate and even sub-Antarctic regions. Established in August 1995, the overall objective of the Underwater World is to provide entertainment along with knowledge and education to those who are interested in marine life. There are information kiosks, wildlife gallery and a 3D audio/video room with capacity of 200 where you can learn and gather myriad of information about birds, animals and aquatic life. I have observed that sometimes there are gaps between visitors expectations and what they get to experience here. If you imagine that you will be walking through a transparent glass tunnel under the ocean and get to see the big fishes and rare marine creatures outside in the open sea, then you will need to reset your expectation. Sure there is a 15-meter long tunnel at the Underwater World which you will walk through. But that showcases many exotic marine life only in glass tanks that are engraved in the walls. However the collection is fantastic and the overall display is very impressive. After you buy the tickets at the counter, the first section is the Freshwater fishes. But before you enter the section, you will be asked for a photo shoot. Your pictures will be framed up and put on display at the last section before the exit. You can then choose to buy it or ignore. I personally didn't find good enough reasons to buy the pictures at such high prices. There is no restriction on photography inside anyway. So if you carry a camera or a video camera, you can actually get your pictures with real fish or other amazing creatures in the background. You can't use the flash as most of the inhabitants here are sensitive to that. A video camera works much better while capturing moments with fishes in an aquarium. A digital camera often shows light reflections in the pictures when you take a snap of a fish in water. Coming back to the first section of the fresh water fishes, you will see a fountain with a small artificial pool and many glass tanks in a darkish room. You will find Perch Jungle Carps, Orange Spotted Stingrays, Silver Dollar, Red-tailed Catfish, Bala Sharks etc in the waters here. One of the highlights in this section is the largest freshwater fish in the world - the Araipamas. 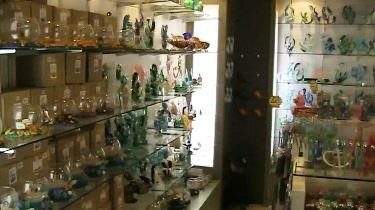 Most of the collection here is from Australia, South East Asia, Amazon etc. This is the second section. You will find an array of tropic birds, animals and fishes. Out of the grounded & flight birds you will see flamingos, black swans, Mandarin ducks, yellow golden pheasant, parakeet, laughing thrush and more. Then there are common snapping turtles, and varieties of fishes in a tank including striped carps, tinfoil barb, arowana, pacu, knifefish etc. 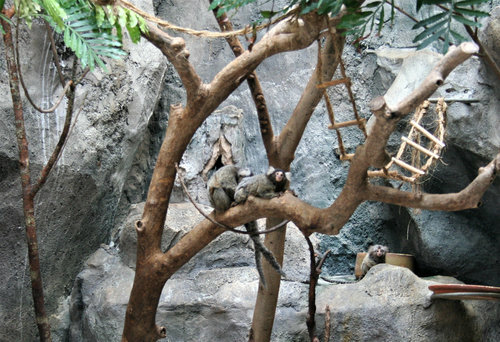 But one of the best creatures that I liked here was the Marmoset, the smallest monkeys in the world that are only 7-12 inches long. Couple of them were moving around in a small tree. In fact they are so small, they do hide behind the leaves when threatened. The best part in this section is that the birds and animals are kept in open free space in their natural habitat. You can touch them if you want, but you should not. Neither they seem to feel frightened and come almost in touching distance as you walk along. The sunlight reaches this section through a translucent glass ceiling. 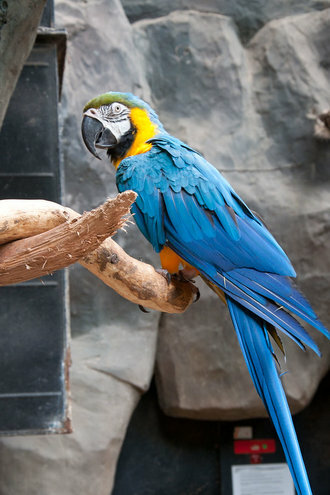 Just before the entry to the next section, there is a large Blue & Gold Macaw sitting on a barren tree. When we said "hello", it started imitating us with its course voice and came within arms distance. Quite amazing... Macaws are very intelligent, and can be made to talk and even eat with a spoon. This is the playhouse of the fur seals. These are southern fur seals that can be found in places like Atlantic of South America, or in Pacific between Southern Peru to Cape Horn etc. They are mammals and quite social. A new born pup can weigh between 3-5kgs. There are couple of adult fur seals here that put on great shows in a large glass water tank. You will need to time it right for the show. 2:30pm is the feeding time and that's when the trainer gets them to make public shows like jumping through a large ring, making different postures etc. 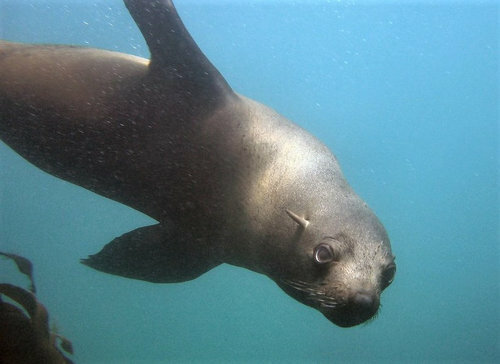 An adult fur seal can dive to a depth of 170m and remain underwater for about 7 minutes. There is also an underwater 8-meter tunnel in this section where you can see the black footed African penguins swimming across. The next section is another top attraction in the center. 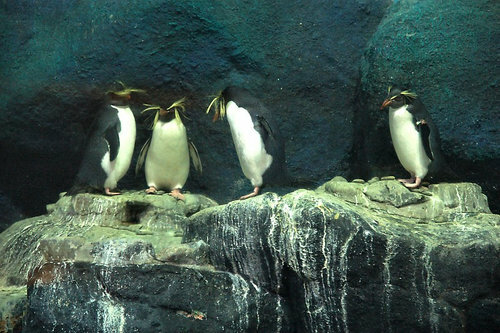 Here you can see the Rock Hopper Penguins. They are so called because they can actually jump the rocks. They are some 2-ft tall and have yellow feathers on their heads. They feed on squids, small fish etc. Originally some 20 such penguins were brought here from South Africa. In the next section you will walk though a 15-meter long tunnel which is full of amazing fish and marine creatures that are housed in numerous small and large tanks. One of the highlights here is the 70,000 liter tank that has Blacktip and Whitetip reef sharks. 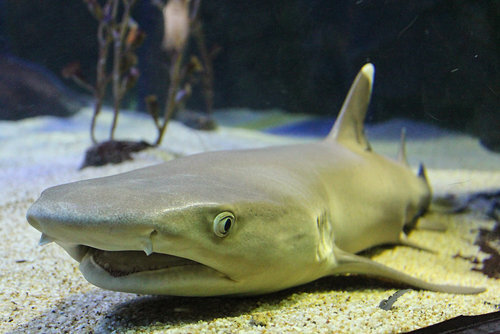 Other sharks in this section includes Zebra sharks, Port Jackson sharks, Nurse sharks etc. You will also find many other exotic species here including the Moray Eels, Lion Fish, Giant Clams, Sea Dragons, Pufferfish, Hermit Crabs and lot more. As you walk along, you will find the Koi Pond and the Otter Pond. In Koi Pond, there are fishes like cat fish, silver dollar, Japanese carps etc. The pond is setup under a waterfall. You can feed the fish here. The fish food is available at the counter at a separate price. At the Otter Pond, you will find small clawed cute looking otters. Kids will love it. This is the last section of the marine life where you will see lovely colorful coral reefs that have living corals in them along with other marine life like damsels, wrasses, small colorful fish that coexist with corals. There is also a cafe inside (Neptune Cafe) selling snacks & beverages. There are toilets available at several laces. Children (age 3-12): RM30 for children of foreign tourists. Underwater World Langkawi, Zon Pantai Cenang, Mukim Kedawang, 07000 Langkawi. The complex is located at the southern end of Pantai Cenang and right next to the Zon Duty Free Center. It takes about 30 minutes from Kuah Town and 15 minutes from Langkawi International Airport by car/taxi. The under water world was a really good experience for a first time visitor like me, though I have heard that it is not as good as in Singapore and other places. It was a good place to visit and wheelchair friendly. The only drawback was the Sea horses, there were so many signs about the Sea horses but it was a little disappointing that they were in a small aquarium, just 4-5 of them.